One of the key things to do in St. Louis is see the Gateway Arch. 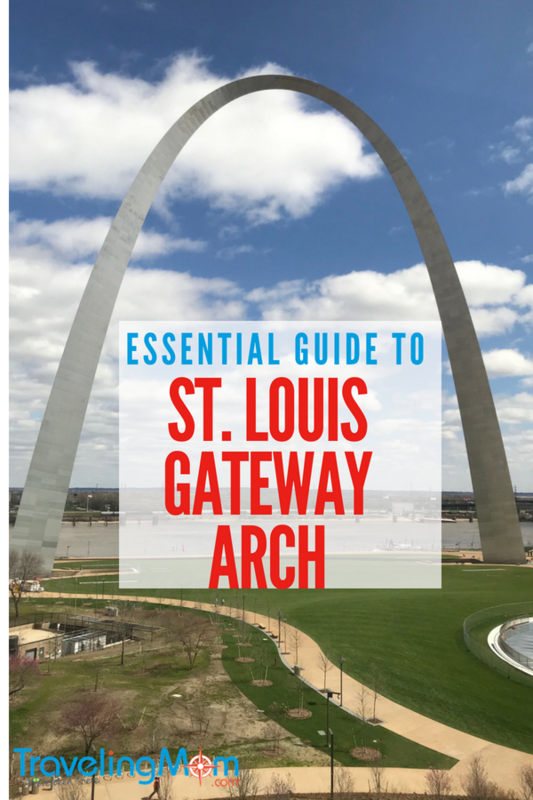 But if you live in St. Louis, as Vegetarian TravelingMom Judy Antell did for college and graduate school, you go to the St. Louis Gateway Arch once and that’s it. 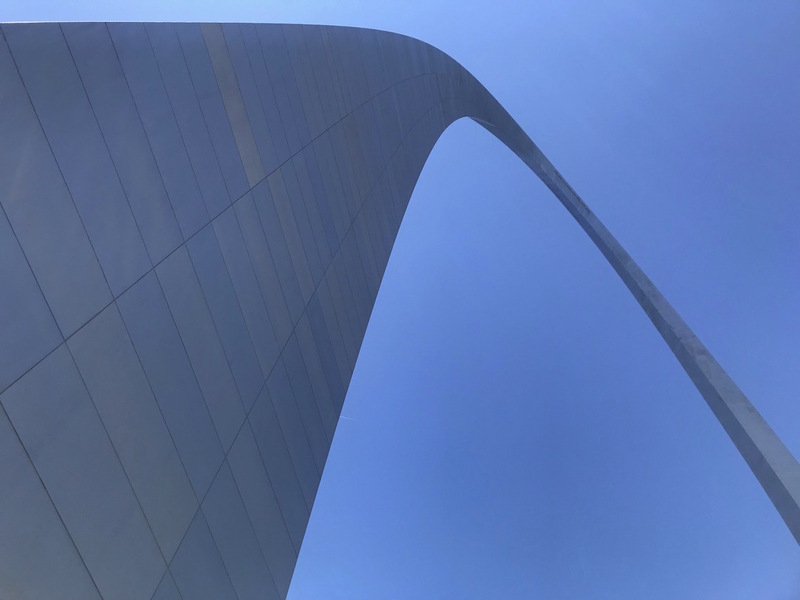 The arch now deserves a second or third look, as it received a makeover, with a revitalized entry and a brand new museum underneath. The area also has a new name. The Gateway Arch National Park, previously the Jefferson National Expansion Memorial, reopens July 3, 2018. 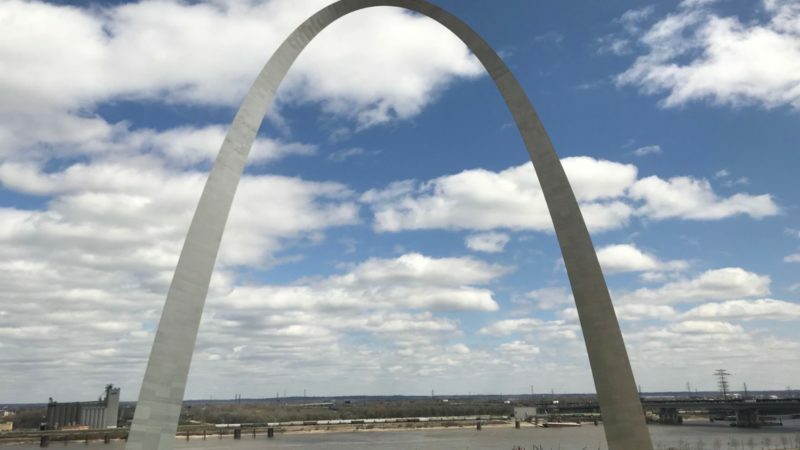 Riding to the top of the St. Louis Gateway Arch can be your introduction to the Midwest. But getting to the arch used to involve crossing highways and breathing diesel fumes. Now, the area around the signature arch has been turned into parkland. Rolling hills and landscaped gardens make the approach more beautiful and welcoming. 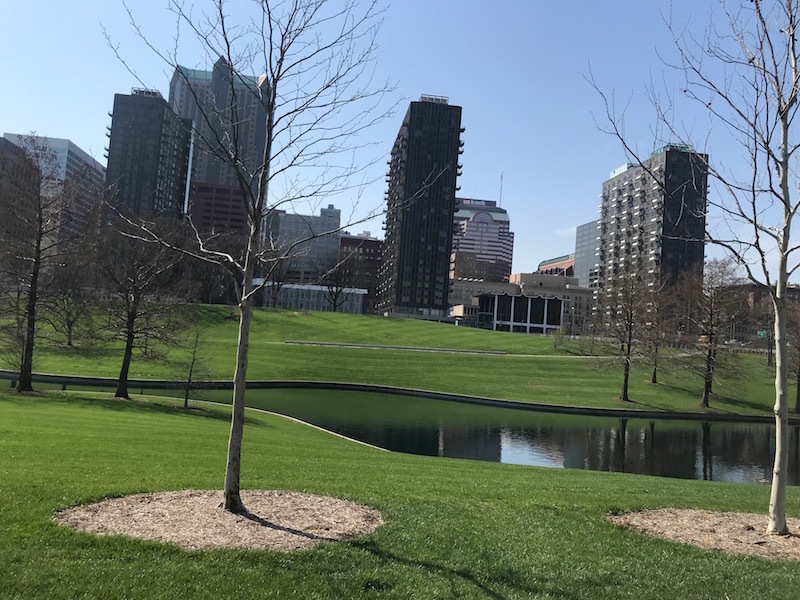 The CityArch River Project, a $380 million renovation, added 11 acres of parkland and over five miles of walking and biking paths. With the opening of the new museum, expect crowds. Plan ahead and buy tram tickets to the top of the arch in advance. I think seeing the view from the top is best before going to the museum. But if you explore the museum first, you can learn about the architecture competition, won by Eero Saarinen. And you can see exhibits on the engineering and building of the museum. Tickets to the top are timed tickets. Allow time to go through security. Once you get to the top, you can spend as long as you want soaking in the view. You can spend the entire day at the arch. The park grounds extend to the water and the St. Louis Riverfront Cruise. The one hour riverboat cruise explores the muddy Mississippi. Riverboat cruises operate March through November. On the narrated cruise, you pass under several bridges and see the historic Laclede’s Landing entertainment district and the Soulard area. Soulard is worth its own trip. The area features a huge farmer’s market and the Budweiser Brewery tour. There is a discount on a riverboat cruise and tram combo. There are also family-friendly brunch and dinner cruises. Adults can take a Blues Cruise and dance to live blues music. Strolling or biking the waterfront is another way to explore the area. Dockless “Lime” bikes can be unlocked via your phone. 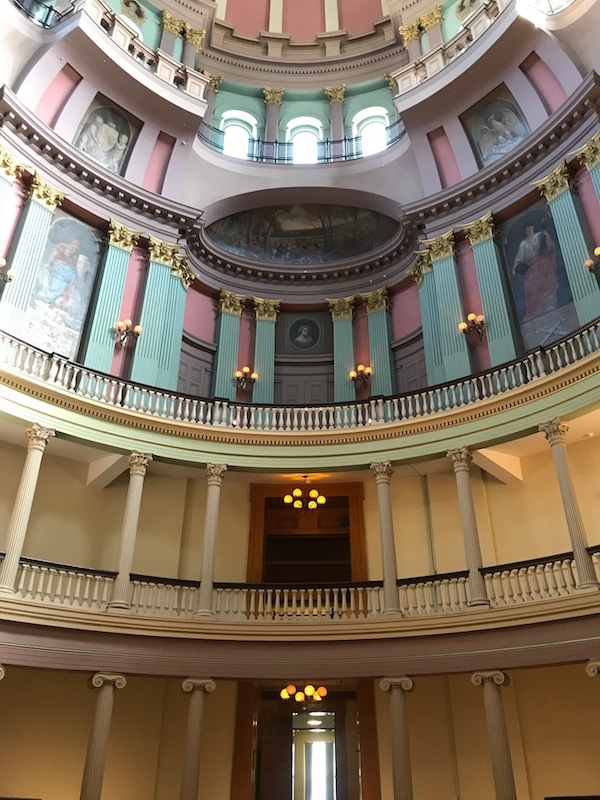 The Old Courthouse is also part of the Arch experience. Surprisingly my husband, a lawyer, had never toured the courthouse during his five years in St. Louis. Don’t make this mistake. The gorgeously restored building is worth a visit just for the historic architecture. But even more important, the Courthouse is where Dred Scott sued for his freedom, and his wife’s freedom. And lost both cases. The free Museum at the Gateway Arch received a royal makeover. The Gold LEED certified expansion and renovation is the first real update to the museum, which opened in 1976. The museum traces St Louis history, from Native Americans to colonial times, up to the building of the arch. 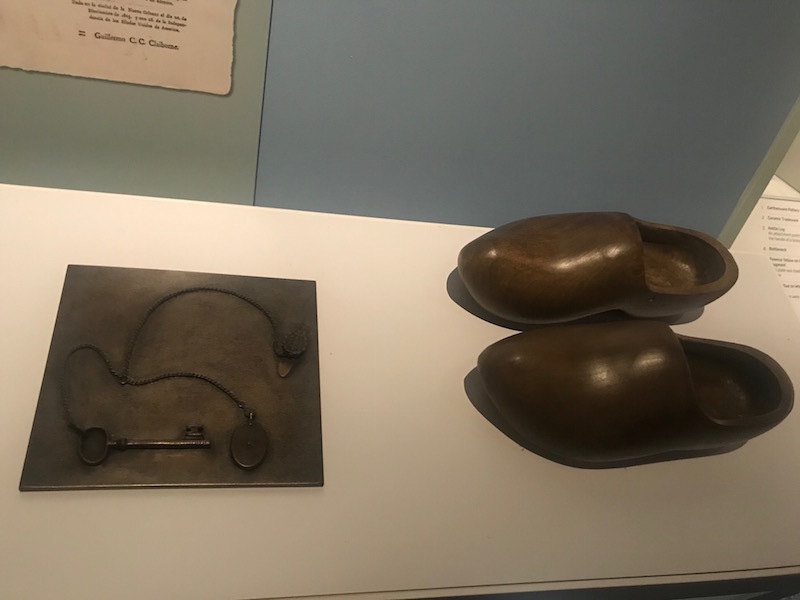 Interactive galleries and reproductions of artifacts make the experience accessible to a broad range of visitors. The pods that transport you to the top are claustrophobic, but I was able to swallow my fear and concentrate on the view awaiting me. The ride is blessedly short and you can position yourself on the outside of the pod to be last in, first out. 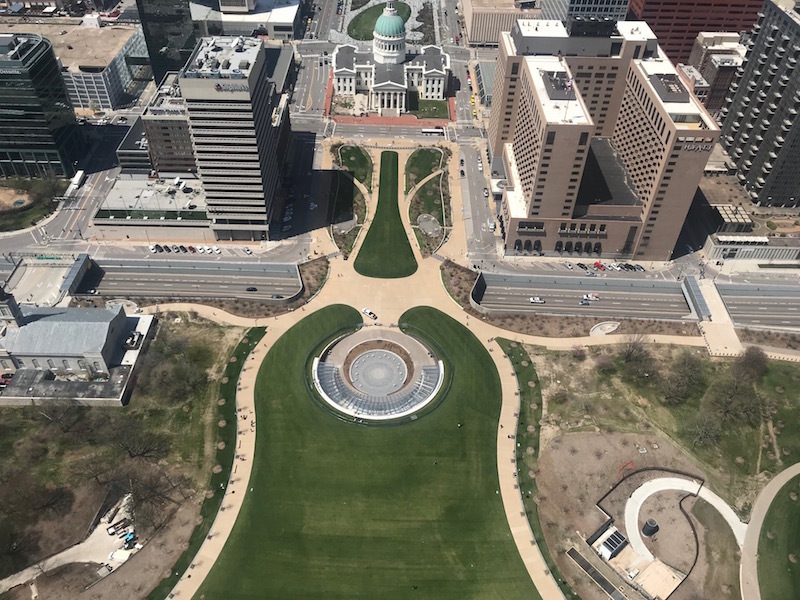 The St. Louis Gateway Arch renovation greatly improved pedestrian access. But with several nearby parking garages turned inot urban parks, and more landscaping around the Arch, driving is not the way to go. Hop on the MetroLink light rail instead. Or walk from a downtown hotel. The Arch View Cafe, on the water, has basics like burgers, BBQ pulled pork sandwiches and veggie burgers. St. Louis specialties include toasted ravioli. The cafe is open April through October. You can also walk a couple of blocks to Citygarden (one of those garages turned parks). Kaldi’s Coffee, a local chain, has all day breakfast with avocado toast, breakfast burritos, and a delicious vegetarian hash made with “faux rizo.” There are also sandwiches, salads, a kid’s menu and gluten free options. Note: I was a guest of Explore St. Louis, which covered my travel expenses. My opinions, of course, are my own.